Saffron Tree: Can You Find It? When I got this for Ana's fourth birthday last Spring, I admit, it was with an ulterior motive: to expose her to art in an interesting and challenging way, that is also fun. This is very much an "I Spy" kind of book, posing a list of items to find in each picture. But it is the pictures that made it attractive to me: there are nineteen paintings from the Metropolitan Museum of Art (NYC) collection that are reproduced here, spanning centuries and styles ranging from Egyptian to American Kitsch, tenth century to twenty first. Artists, intentionally or otherwise, have hidden a plethora of small details to be discovered by the curious eyes with careful scrutiny. For instance, in The Abduction of Wenji, the list includes 3 green chests and 1 baby to identify/spot in the picture. Naturally, the first green chest is a breeze. The second comes with a little poring. But the third remained elusive for a long time, challenging the heck out of me. And, so is the solitary baby. Another instance: in the Scenes From The Tomb Of Nakht, we are asked to identify, among other things, 5 butterflies, 4 zucchinis, and 18 eggs. As one can guess, the first two butterflies or the first half dozen eggs just jump out at us, but the rest prove challenging enough to keep us engaged for a long time. Of course, to put a lid on my frustration, there is an answer key at the back. Plus, details about each painting. But, after having spotted it once, it seems easier to tuck it into memory and retrieve it for the next time. So, the trick is, of course, to put the book away for months and bring it out again after our short-term memories have been erased and rewritten many times. In addition to observation and concentration, I like the fact that it allows for us to study the paintings in detail. Hopefully, this will encourage and train the wee ones to take a closer look at the paintings they encounter - not just a cursory look at the big picture, not just the colors and lighting and artistic elements, but also the fine-grain details that lets us zoom in on the time and place the artist has captured on the canvas. 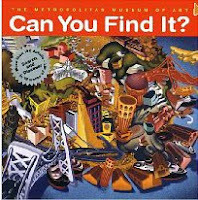 There are other books in this series like Can You Find It Too?, Can You Find It Inside?, Can You Find It Outside?, Can You Find It? (America), Can You Hear It? (with more to come, I am sure) which can add up to quite a collection for the home library. "I Spy" books are a great hit at home. We play a verbal version even over dinner:) I was wondering how I could give them more, but in a different form, and this book seems like a great option! I like the interesting subjects on the pages. Thanks Sheela. wow. very nice. it is wonder what a living museum can do! I would like to see such an active museum in India soon! Thank you sheela for referring us to another wonderful book and a beautiful review. Love these kind of books. Nice pick Sheela! 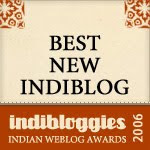 @ Sathish: That I why I loved Tulika's 'Looking at Art' series. What stops us from going to an art gallery here and getting the kids to view a painting in detail once their appetite has been whetted by the books?! Sheela this book sounds awesome. What you said about the last egg or the last butterfly hiding somewhere and driving the reader crazy is so true. Will check out local library for a copy.